Out of the box, the Xiaomi Roborock S5 is a pretty sharp looking vacuum (we got the S50 in white, the S55 is black). Here’s a run down of my initial impressions. The vacuum comes in a nondescript brown cardboard box with the Roborock logo on it. Inside, everything is packaged well. You’ll find the base, mopping reservoir, as well as several spare parts for the reservoir. There are also instructions to get you started with your new purchase. 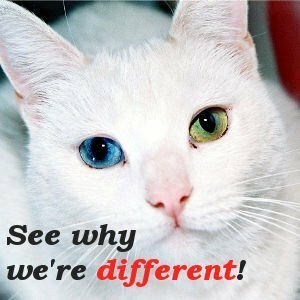 First let’s talk aesthetics. While this isn’t something that most men could care one way or another, most of the women out there will like to know how this, a. looks and b. manages the dust that it comes in contact with each time it vacuums the house/office/etc. The look is not the most important factor, but I do want to briefly touch on it and point out a few things. The Roborock comes in a nice white. It is also available in black, but that is listed as the S55. The white that the S50 comes in is slick and does not collect or show dust and grime very easily. I assume that it just doesn’t stick well to the surface, which is a plus in my mind. That’s one benefit. Another benefit of the white is that it blends in well with most carpets if you decide to keep this in a room with light colored carpet. For a dark hardwood, it would stick out like a sore thumb. Like most modern home automation gear, the Roborock S5 series and the Mi Home app have a guided setup that will get the vacuum on your network without too much hassle, assuming you’re OK enabling location and Bluetooth access for the app. From there, you can get started setting up your first cleaning or schedules. 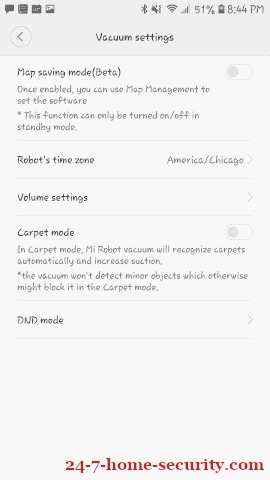 After you download the Mi Home app to set up your Roborock s5, you will see various features that you can select through the app. You have options such as vacuum settings, timer, cleanup mode, voice pack, notifications, and general settings. Some of these are not quite as important or value worthy as others. For example, the voice pack basically has one option for English speaking countries. All the other options are Asian languages. If you’ve owned an older robotic vacuum, you’re likely familiar with the semi-random navigation style as the vacuum bumped its way around each room to clean it. Well, the S5 suffers from no such annoyance. After mapping a room, it will proceed to outline a small section of it and then proceed to systematically vacuum strips back and forth, leaving orderly lines back and forth across your carpeted rooms. For those of you that are more orderly, this “placebo” effect of a recently vacuumed room will leave you feeling satisfied every time the vacuum runs. Another highlight of the features is saving your floor plan to allow for the Roborock to know the area that it will be cleaning before it begins. With this feature, you can edit the floor plan to make sure the vacuum doesn’t go into rooms or areas that you may not want it to clean. 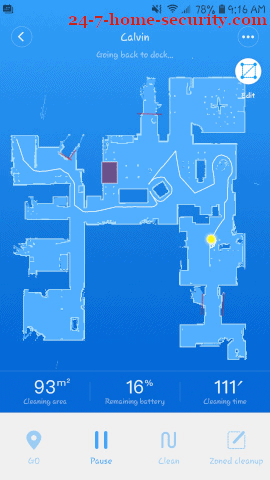 We tested this after saving the floor plan mode, and it works just as intended. It’s very easy to add virtual no-go lines as well as block out regions where you don’t want the vacuum to go. Whether that’s so it won’t eat curtains or bump into pet dishes, it’s a really handy feature. It definitely beats manually putting down lines like the old vacuums used to require! Another nice feature of the S5 is the zoned cleanup. 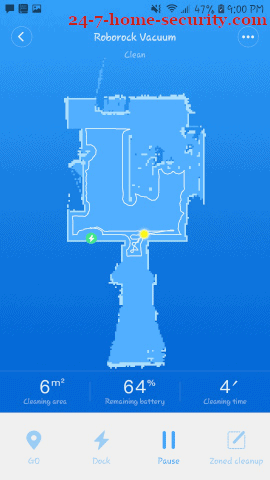 After your house is mapped, you can draw a region on the map to request a special cleaning of an area. This comes in handy if someone tracked in dirt or spilled some rice krispies and you want some help with the cleanup while you do something else. 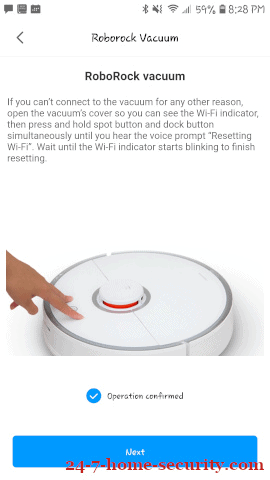 One of the new benefits that the Xiaomi Roborock S5 sells its customers on is the mopping feature. Hate to disappoint, but this is not going to be a raving review of that feature. Imagine a wet pad being lightly dragged back and forth across your floor. Sure, it may pick up some dust, but don’t expect it to clean your floor. Plus, the reservoir is tiny. So, it can only cover a small area at a time before running out. And, if you’re going to bother with that, you may as well just mop yourself. Now, if you want it to just get up some of the grime that the vacuum missed, then sure, go for it. Otherwise, I say this is not an important feature to look at when deciding what vacuum to choose. Another benefit, especially for those of you that won’t be home when you want the vacuum to run if that you can set multiple timers. 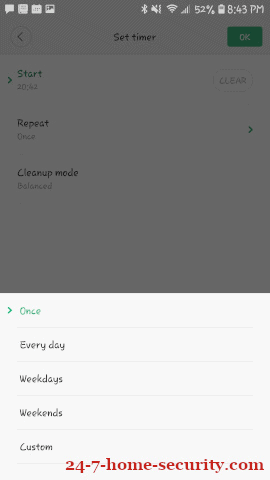 You can set the time to begin, when you would like it to repeat (once, every day, weekdays, weekends, or custom), and cleanup mode (quiet, balanced, turbo, or max). The Roborock S5 keeps up with all the maintenance numbers as well. It shows, out of 100%, how much longer you have on things like the filter, sensors, and brushes. Overall, the vacuum goes pretty quickly. It can clean about 1,400 square feet in just over 2 hours. This was on the balanced mode, as well as turbo. It did have to go back and charge once when it dropped below 20% battery power. This was one complaint that I had about the vacuum. It had MAYBE 4square feet left to clean, and instead of finishing up with the 20% battery power, it went home to the dock and charged for an hour or so, then drove all the way across the house to finish up that tiny area. Dumb! But, I’m sure that could be easily fixed in a future software update. When on the max cleaning setting, the battery did run out quicker. It cleaned approximately 1,000 square feet in 1 hour and 40 minutes before needing to go back to dock and recharge. During the time it cleaned the 1,400 square feet, it never once asked me to empty the dust bin which made me question its effectiveness at getting all the pieces of trash off the floor, etc. Compare this to the Neato D5 which asked me to empty the bin (which is larger than the Roborock S5) about half way through the cleaning. But after using the vacuum for longer, it did eventually end up sending me an alert to empty the bin. Once I did, it was extremely full. So, just keep that in mind and just empty sooner, if you can remember. We have carpet in about half of that area, so that’s the cause for a lot of the fibers in the bin as well, so your mileage may vary. Also, the brush on the vacuum is pretty small, about 6” or so with fairly short bristles. It’s much shorter than the Neato D5, and it seems like it has to make more passes across the floor to clean the same area. But as long as you’re not watching the vacuum, this likely won’t bother you. The only reason I mention it is that it seems like it doesn’t pick up as much as the Neato, and I wonder if that’s due to the amount of overlap as it passes back and forth over an area, with the D5 making overlapping passes with its larger brush. After spending over a month using the Roborock S5, I can safely say that we’re very happy with it. The software is fairly bug-free, vacuuming on schedule and systematically covering our entire home while adhering to our digital no-go lines and regions. Plus, it doesn’t flake out like and start mapping phantom rooms like the Neato Botvac D5 vacuum we tested at the same time as this unit. 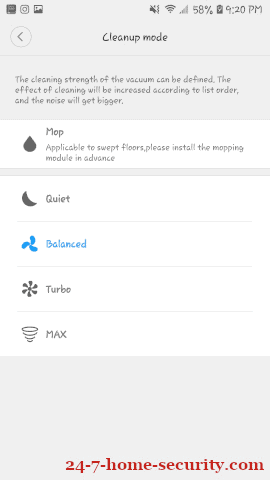 All-in-all, we’re thrilled with the mapping and reliable cleaning software of the Xiaomi S5, plus it’s about half the cost of premium vacuums that don’t do the same job nearly as well. 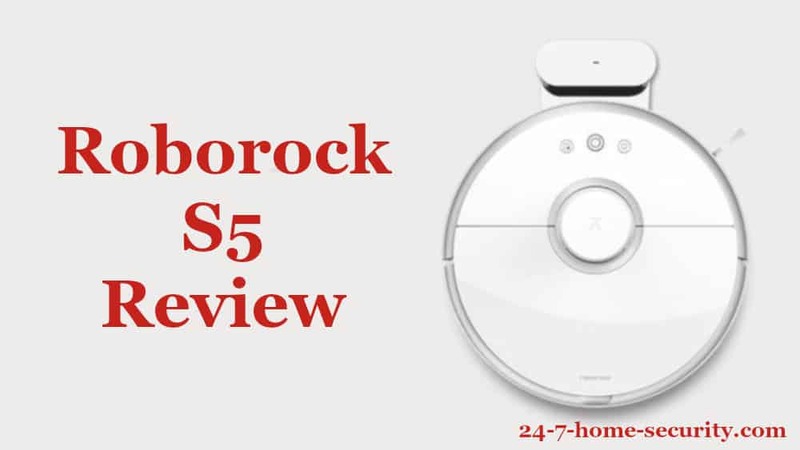 If you found this review helpful and are going to pick up the Xiaomi Roborock S5, consider using my link to help me buy more stuff to review! <a href=”https://amzn.to/2TPXcVY” onclick=”__gaTracker(‘send’, ‘event’, ‘outbound-article-aff’, ‘https://amzn.to/2TPXcVY’, ‘Check the latest price on Amazon’);” rel=”nofollow”>https://amzn.to/2TPXcVY</a> It doesn’t cost you a dime!